Samsung Circular Printer - The Futuristic Printer | TonerGreen - Eco-Friendly Toners from the U.S. Upon the release of the popular smartphone Galaxy S3, Samsung had reached surmountable heights of fame and became Apple's number one rival in the smartphone industry. But Samsung's products doesn't only end in manufacturing smartphones, they also produce and sell smart TVs, laptops and printers equipped with advanced features that definitely suit and meet any one's need and enjoyment. Speaking of printers, Samsung is never short of future concept to offer its loyal buyers on its products. One of them is the Circular Printer, a small and portable printer that possess a circular shape thus its name. I bet you wouldn't even think of it as a "printer" when you first see it, since it possessed the looks suitable for a speaker. "The Circular Printer concept from Samsung is extremely small and doesn't look like any other printer we've seen," described PCWorld.com. 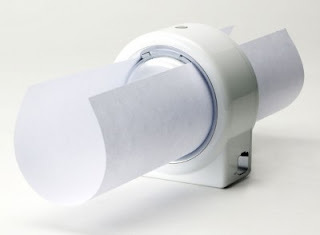 "Instead moving linearly, this printer uses rotational motion to print one page at a time. Unfortunately, Samsung has never taken the Circular Printer to production." 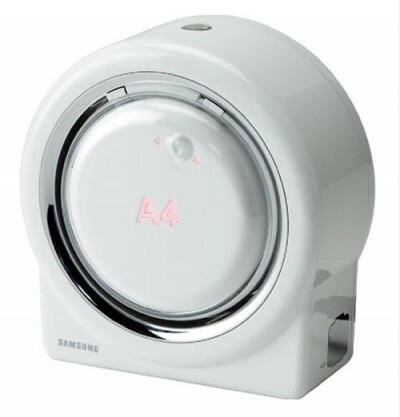 With its unusual design, the Samsung Circular Printer already amused the interest of many users. "Samsung are huge in the printing industry and to see their circular printer concept kind of shocked me," commented Tips4PC.com. "Samsung's products have always been user friendly but with this printer you would have to load each page separately and have a nice curved print out when finished." Neutronic Future Technology, on the other hand, described the printer as "By replacing the traditional ridiculously big rectangular printer with a smaller, and more compact circular one, Samsung literally thinks outside of the box." It is whether unknown if this Samsung laser printer uses laser printing technology or inkjet but definitely it will not use the typical Samsung toner cartridges or ink cartridges, but I'm definitely sure that like other futuristic concept, the Samsung Circular Printer will likely more use solid inks. So until this printer is release in the market, we would remain baffle in the technology it would used.